When all of the secret agents at MI7 are killed, analyst Johnny English finally gets to live out his dream of becoming a spy. When someone steals the Crown Jewels of England, it's up to English to find out who is behind it all and why. Rowan Atkinson showed his brilliant physical comedy in "Mr. Bean." He showed his sharp wit and charm in "Black Adder." Now, he gets to combine both of his skillsets in the spy spoof "Johnny English." This movie is directed by Peter Howitt, who has directed other films like "Sliding Doors," "Anti Trust," and "Laws of Attraction." It is written by Neil Purvis, Robert Wade, and William Davies. 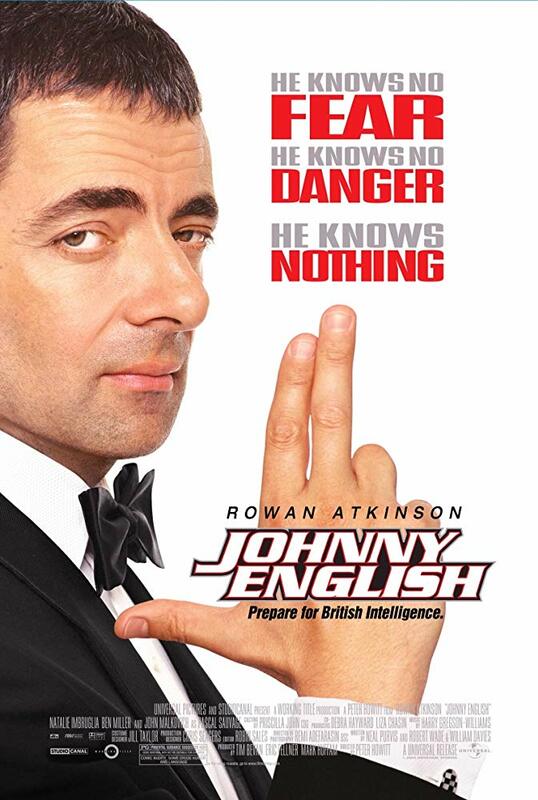 Johnny English (Rowan Atkinson) works a desk job at Brtish secret service agency MI7 but dreams of being a field agent. When a tragedy leads to the deaths of every other secret service field agent, Johnny English finally gets to live out that dream, even if he's not all that qualified to do so. When the Crown Jewels get stolen under his watch, Johnny and his sidekick Bough (Ben Miller) must locate the missing crown and determine who the thief is. During his investigation, the bumbling English uncovers a larger conspiracy. The only problem is getting anyone to believe him. Films that spoof the spy genre have been around for decades. Though "Johnny English" may not be the best movie in this subgenre, it's far from the worst. We think Rowan Atkinson is a gifted comedian, and he does the arrogant bumbler routine very well, which perfectly suits the character of Johnny English. 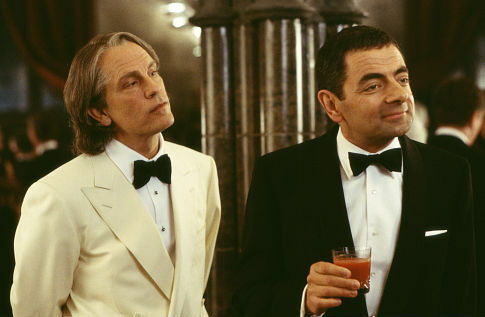 As a character, Johnny English thinks he's the best at what he does despite that he often makes mistakes and poor choices. Much of this movie runs through the typical police-comedy formula, including a commanding officer who is continually reprimanding the protagonist Bough. As a result, English is quick to blame his problems and screw-ups on his much more adept sidekick. Atkinson's great physical comedy combined with his dry British wit made us have a couple of big laughs at his goofiness. We also get to see John Malkovich playing a cartoonish villain complete with over-the-top French accent. While it's pretty cringey, we have to admit we laughed a little at his shtick. 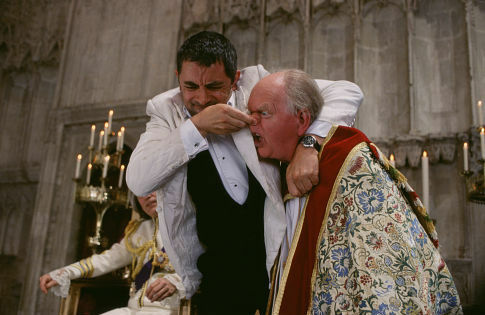 While the story doesn't make a whole lot of sense, nor does the villains' evil plan, at least we get to laugh at the absurdity of "Johnny English." It's super silly, and not every joke works, we feel like we laughed enough to call this an enjoyable action comedy. If you're predisposed to disliking Rowan Atkinson's signature brand of humor, you should probably steer clear of this one.